Joseph (Unni Mukundan) and Chinnamma (Rima Kallingal) decides to encourage the talent of Clint (Master Alok). Movie forms the last one and half years from the life of this unbelievably talented little boy. We already know what happened in the life of ‘Clint’. The only part we are interested in is how the story is going to be narrated by the makers. That said, the movie is running through the last 1 year from the life of this godly gifted young artist, we get to see some sudden changes taking place in the big screen. On a positive note, we should appreciate director Harikumar for narrating the story by minimizing the presence melodramatic features. The script born out from the pens of Harikumar and KV Mohankumar, has done a good job by weaving out the different aspects of the striking character of ‘Clint’. We don’t see much of a disobedient child in ‘Clint’; rather the child is embodied with the wisdom of a grownup man, who is keen on one particular aspect – painting. ‘Clint’, in fact is someone who found the empyrean charm of colours at a very young age. Such a scintillating figure, it is very easy to become verbose about the life of this talented boy; and we can’t find faults in makers, if they babbled a lot about the unusually intelligent traits of him. The one area, which however bulges out from the rest, is the bootless set of comic figures, which didn’t produce any fruitful results. It must be added that at times, these side tracks of comedy got stretched to a level, that stains the beautiful piece of painting called ‘Clint’. Though the movie is about the life of Clint, it is equally about the lives of Joseph and Chinnamma. The movie, which pans through the joyous as well as the sorrowful days of this couple, effectively pulled out their acting prowess and Rima looked perfect as the mourning mother of Clint. Well, here comes a surprisingly subtle acting from Unni Mukundan, who has not given such an opportunity before. Master Alok as ‘Clint’, really looked innocent. Well, bearing the fact that lip sync wasn’t at its best, Alok was pulled off this character. As far as the technical aspects are concerned, ‘Clint’ might not look like the colourful films releasing these days. Well, with all due respect to the towering figure of Madhu Ambat, it should be added that ‘Clint’ didn’t ooze the freshness of movies releasing these days. Ilayaraja’s music, echoing some of his pastime hit tracks, were good enough to set the mood of the movie. 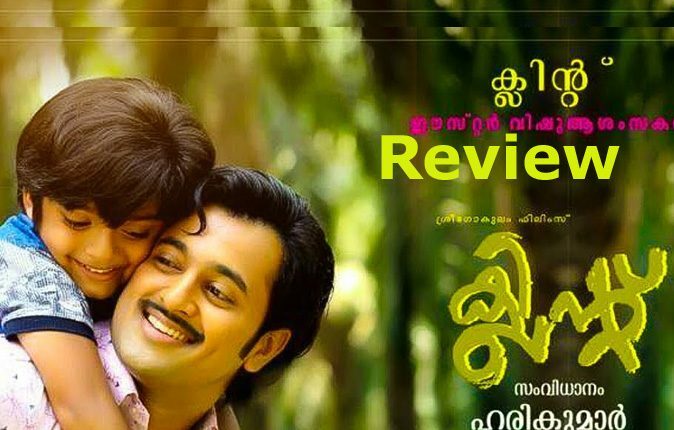 ‘Clint’ should have been seen as a movie, which paints the life of this prodigious son of Kerala, rather than for the kind of cinematic feel it gives.